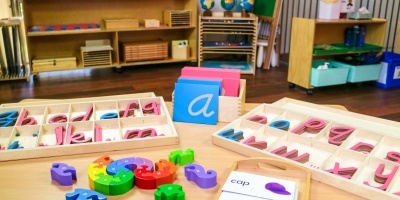 Want to improve your child’s comprehension and vocabulary? Ask them open ended questions while you read! 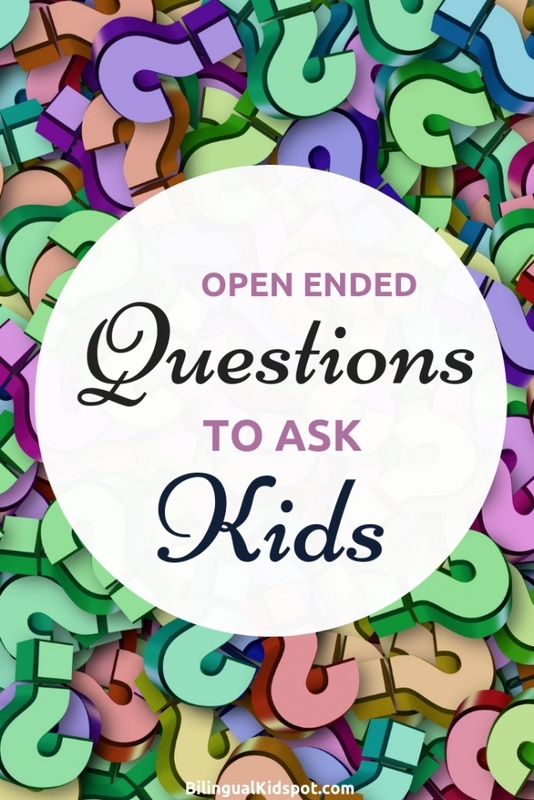 Here is a list of 50 open ended questions for preschoolers that you can ask that will spark conversation, get your kids talking, and improve their overall understanding. Make sure to also take a look at our Funny questions to ask kids post too! Why use open ended questions for preschoolers? Open ended questions for kids build so much substance than close ended questions. Close ended questions require a simple yes or no answer. Open ended questions result in answers with more information, descriptions, characters, settings, locations, scenarios, feelings and interpretation. They require more thought and will enable a child to communicate their perceptions and what they have interpreted. 1.Looking at the cover, what do you think this book might be about? 2.What do you think will happen in the story? 3.Can you please describe what you think the illustration on the front cover is trying to tell us? 4.Why do you think the author gave this book that title? 5.What do we know about the story by looking at the cover? 6.After reading the blurb, what is something you are looking forward to discovering in this book? 7.How do you think this story will end? 8.What is a problem that you think could occur in this story? 9. What time of day do you think it is? 10. Why do you think it is that time of day? 11. What would be appropriate to wear here? 12. What sounds do you think the characters may hear? 13. What would you do if you went to this place? Do you think you would enjoy being here? 14. Why do you think that item is there? 15. What is something that is useful here? 16. How many animals can you see? 17. What do you think this place might smell like? 18. Which character do you think this story may be focusing on? 19. How much bigger do you think this character is to you? 20. Which of these characters are friends? 21. How do you think these friends met? 22. Which character do you like the most and why? 23. Which character do you like the least and why? 24. What is another story we have read that this character may be suited for? 25. Have you met anyone that reminds you of this character? 26. How do you think that character is feeling? 27. If that happened to you, how would that make you feel? 28.How could we make him feel happier? 29. What do you think that character would have preferred to have happen? 30. When have you felt the same way as the character? 31. How do you think you would react if that happened to you? 33. Why did the setting change? 34. If this was real, how do you think our lives would change? 35. What has happened so far? 36. How does this story make you feel? 37. What do you think the ending would have been if this happened instead? 38. Why do you think that happened? 39. What would you do in that situation? 40. As we are reading, what are you thinking about? 41. What does that sentence mean to you? 42. What do you think of the story? 43. What happened in the beginning, middle and end of the story? 44. What part of the story do you think you will remember the most? 45. What was your favourite part of the book? 46. What was your least favourite part of the book? 47. Was the book how you expected? 48. What would you change about the ending if you wrote the story? 49. What do you think the author was trying to explain in the story? 50. If the author was to write another book using the same characters, what do you think it would be about? It is no secret that reading to children from birth is beneficial. Not only is it a lovely way to bond, connect and spend time with your child, the positive after effects will last even longer than the wonderful memories of those special moments together. Reading to your child stimulates the parts of the brain responsible for understanding language, literacy and social skills. Reading aloud page after page is also beneficial for their cognitive development, narrative comprehension and mental imagery. Comprehension, in a nutshell, is the understanding or ability to understand something. When we are discussing comprehension and reading, it is the child’s understanding of the content of the text that we are referring to. Building comprehension when reading during preschool years has been proven to have a huge impact later in life. Four year olds who are encouraged to engage in comprehension questions during reading are showing more of an understanding of texts as 10 year olds. When they are talking, ask them questions to encourage them to delve deeper into the conversation. Use open ended questions that will not only affirm your child that you are taking an interest in what they are telling you but also build comprehension of the topic. What can we do to aid our children to build comprehension? Use their current knowledge as a foundation to continue to build upon. 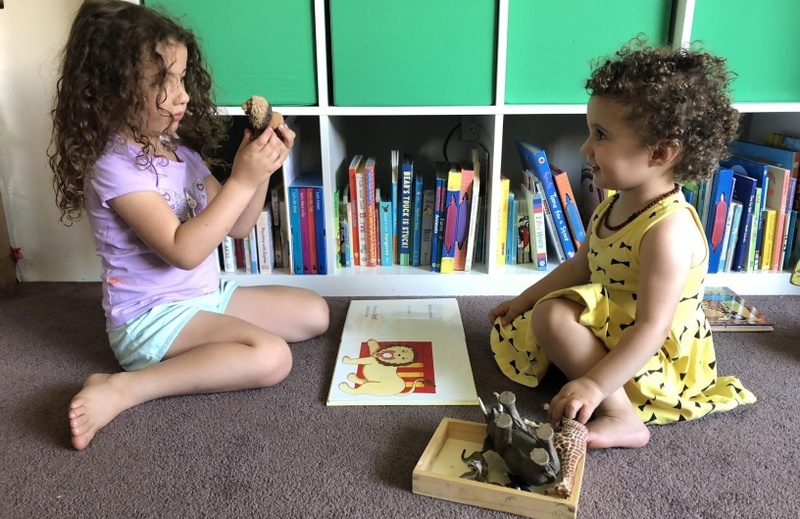 Discussing what your preschooler is already familiar with is going to enable them to have a better understanding of the new information you will be opening their awareness too. If they mention a bird flying in the sky, mention that it is flying towards the horizon then ask what they think that might be. Bring their attention to the colour of the bird, the way it is flapping its wings and discuss where the bird may be flying too. Use verbs and description words to broaden your child’s vocabulary so they are not only able to understand but also have the ability to communicate their thoughts. Ask them open ended questions, even if you know the answer already! Read books every day. 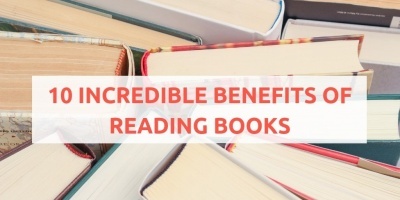 Reading inspires cognitive thinking, imagination and language development. Even though you may speak with your child every day, we tend to fall into patterns using the same words repetitively. Reading removes these limitations. 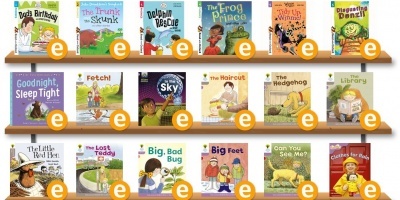 Choose books developmentally appropriate for your child’s age. A young baby will benefit from the added support of a basic illustration to help comprehend the text. As the child gets older, illustrations can become more complex until a point where the child is able to comprehend the text without the added visual aides. Ask open ended questions on every page. Explore the text, the illustrations and relate the tale to a real life situation that your child may have experienced. Open ended questions for preschoolers are a great way to improve kids vocabulary and comprehension. Keep to your child’s strengths and interests when choosing a title to complete this activity. 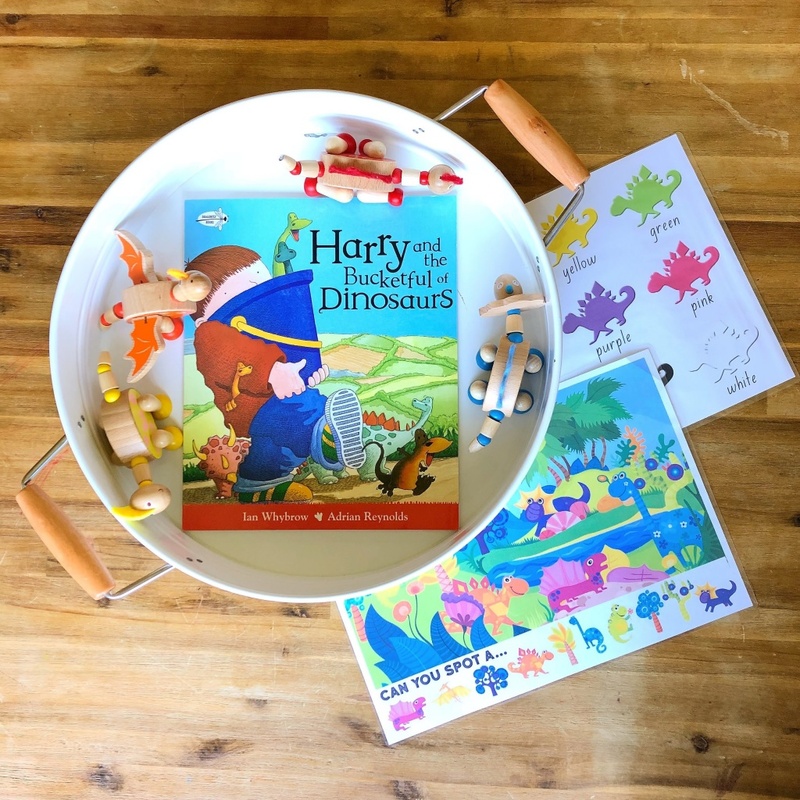 Encourage their love of reading so their minds can continue to grow and comprehension be strengthened for the years of learning and life ahead. Author: Dani is a busy stay at home Mum of 3 and teacher in training who is passionate about play based learning throughout early childhood. For educational play ideas that you can do at home and parenting tips visit her website, Instagram and Facebook.